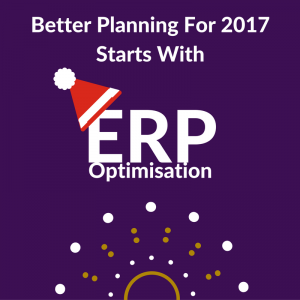 ERP Optimisation: Hit the Ground Running in 2017. It’s the time of year when we draw a line under things. We celebrate over Christmas, enjoy a little break and take stock of the lay of land before setting our goals for the new year. However, the sweeping resolutions we are always so keen to make are all too easy to abandon. This applies to businesses just as much as it does to us as individuals. The vast majority of businesses will be currently considering their plans, projects and targets for the next 12 months to ensure business growth and continued stability. Deciding on which project or plan takes priority and how best to resource the requirements is always challenging. Sometimes almost as challenging as actually delivering the plan! But as we go into the new year, it is vital to hit the ground running. To generate the forward momentum to take you through the rest of the year and ensure your business can still compete in an increasingly challenging market place. ERP optimisation will play a vital role in doing this. One of the most effective ways to help decide on the best course of action is to step back and assess your current business processes, people and systems. For many companies, this should also mean looking to your current ERP implementation. What’s working well? What isn’t? Your ERP system is the beating heart of your business. It should provide all the required data for a business to know the how’s, who’s, what’s and why’s of every area of the business. Without accurate and trustworthy insight into all of your business functions, planning your next move as a business can become even riskier. So this bears the question, are you certain you are leveraging the full value of your ERP? Are you certain that the decision-making process that your business is currently going through is being supported by real insight into the workings of your business? If you feel you can’t answer those questions with certainty, then how do you address these concerns without causing more disruption and delay to hitting your business targets. As with most challenges or goals, the best approach is to take small manageable steps towards reaching your achievement. An ERP project doesn’t always mean a new implementation or a vast, all-encompassing change project. 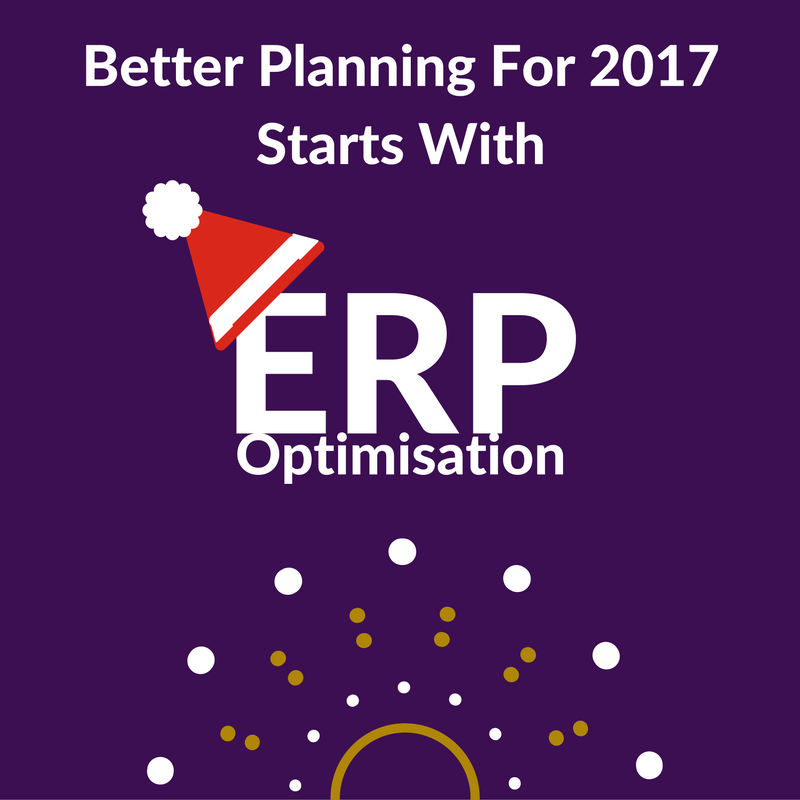 Sometimes all that is required is refinement and ERP optimisation – small but impactful improvements. These small changes can reap significant and tangible rewards. So in the context of planning for the next year – consider the smaller improvement steps alongside the big-ticket projects. ERP consultancies don’t have a great reputation. Poor ERP project management leading to projects spiralling out of control. Missed deadlines, failed go-lives, and ever-increasing costs have maligned the industry for some time. However, at Optimum PPS, we do things differently. Our mission has always been to do ERP better. To offer genuine support and partnership in helping a business achieve their goals. We offer completely impartial ERP advice and expertise with the sole focus on driving out the right solution for your business. As part of this mission, we have developed a fast, cost-effective way to help businesses start driving real value out of their ERP implementations, our ERP Health Check. Although it is a short process, it is intensive and we will identify improvement opportunities and crucially, a road map for getting from your ‘As Is’ to your ‘To Be’. The start of the new year is an ideal time to carry out this exercise and give you invaluable insight to help you plan what projects and improvement initiatives should take priority in the year ahead.